The apple played an important role in the New World, with numerous orchards planted across the east coast of the US. The apples were primarily grown to make hard cider, the most popular drink in colonial America. and the Rhode Island Greening. The Rhode Island Greening would have been a likely option for an apple pie in The Legend of Sleepy Hollow. However, for those around the world, the Granny Smith apple will stand in nicely. The number of apples available lead to numerous apple dishes found at most meals. It’s been suggested the number of apple dishes began the saying ‘As American as apple pie’, although the saying has also been linked to World War II. The all American apple pie can be traced way back to the 1300’s in England. Fortunately in the 1700’s they were using sugar and edible crusts, a big jump from the 1300’s where the crusts were merely dishes, and sugar was too expensive to use. The recipe Ichabod would have tasted would have been similar to the ones we eat today. Place the apple slices in the pie shell and sprinkle a layer of sugar on top and a handful of currants, then repeat the layering until apples, sugar and currants are used up. Pour the orange juice over the apples then dab little dots of butter all over the apples. To finish, top the pie with lattice or strips of dough or a solid pie crust, but with a hole in the middle for ventilation. Bake at 450F/ 230C for the first 15 minutes, then reduce heat to 350F/175C and continue baking for 45 minutes. 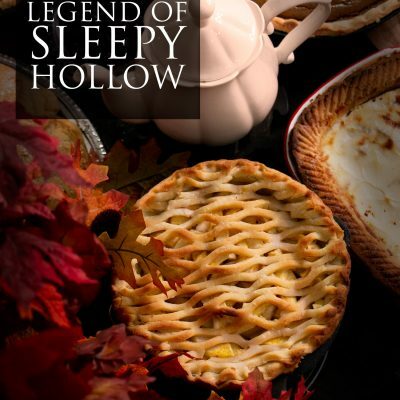 Try these other Legend of Sleepy Hollow recipes. 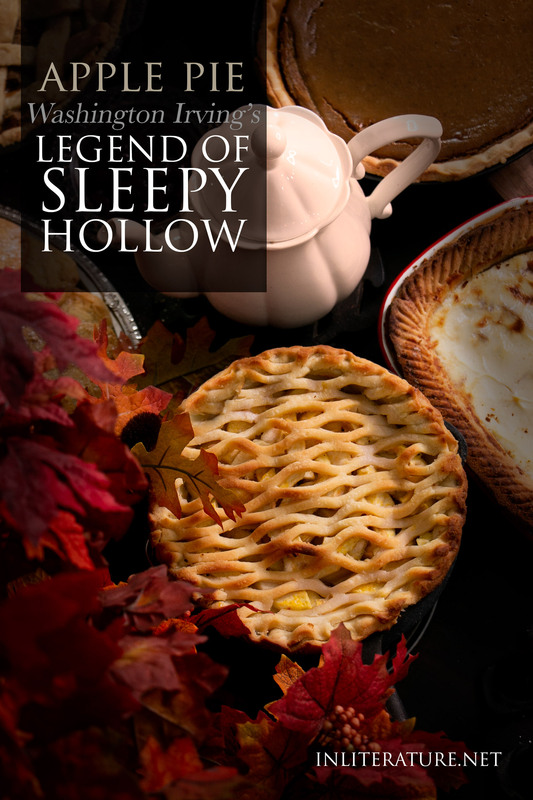 You can also go back to the main post on Throwing a Legend of Sleepy Hollow Party for the list to all Sleepy Hollow party recipes.